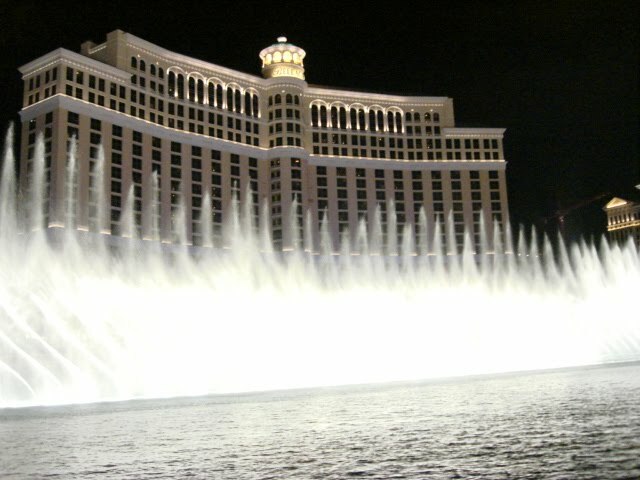 The Fountains of Bellagio in front of the luxurious Bellagio Hotel is a spectacular show in Las Vegas. This is where you see the famous "dancing water show" which is played every afternoon and early evening. The fountain display is choreographed to various pieces of music, including songs by Andrea Bocelli, Frank Sinatra, and Gene Kelly. Don't miss to watch this spectacle once you visit Las Vegas. I had seen this show for a lot of times during my Las Vegas vacation last 2008. 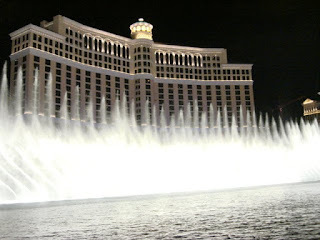 I love this show in front of Bellagio Hotel, the dancing water show in Las Vegas!